A study of 1500 decision makers across Europe into the attitudes towards and behaviours behind cloud adoption has provided some revelatory insight that will be of interest to the physical security industry. The survey, conducted by Morphean highlights not only a favourable shift towards cloud but also a need to adopt technology to extract the intelligent insights needed to accelerate business growth. Respondents from organisations with 25 employees and above from the UK, France and Germany were asked to share their views on cloud technologies, cloud security, future cloud investment and new areas of cloud growth. 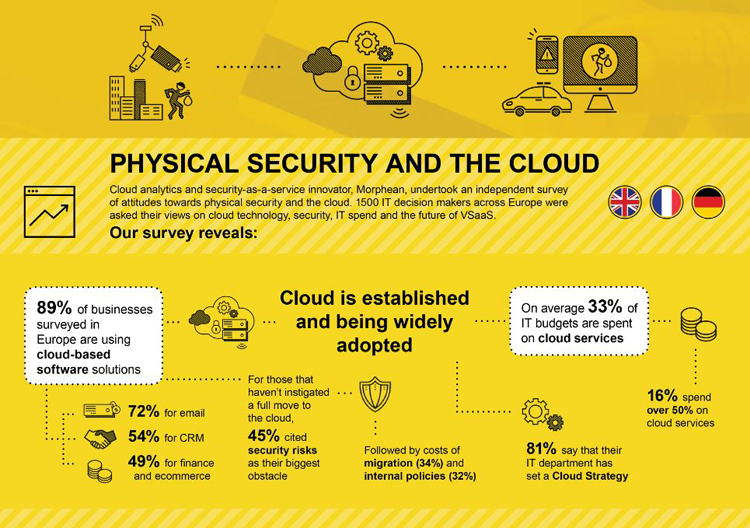 The results showed that while nearly nine out of ten businesses surveyed are already using cloud-based software solutions, 89% of respondents would possibly or definitely move physical security technology such as video surveillance and access control to the cloud. 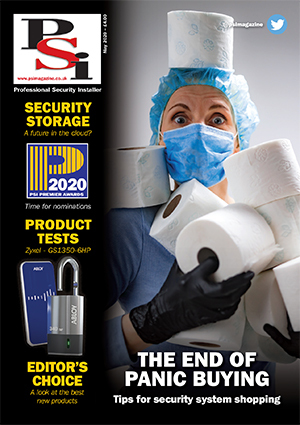 Furthermore, 92% felt it to be important or very important that their physical security solutions meet their overall business objectives.